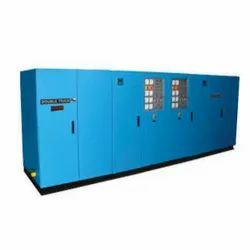 Offering you a complete choice of products which include power supply units, special furnaces, et pushout furnace, induction furnaces, steel frame furnace and et rollover furnace. 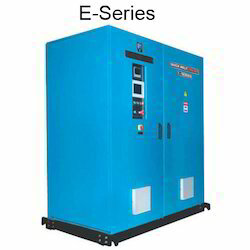 As an eminent organization, we are providing our clients with Power Supply Units. Has capability to share the power with standby (3rd) furnace, this system ensures uninterrupted continuation of metal production. Provides double output power supply, this system is appreciated for longer service life. ET Double-Track Plus is the most versatile double output power supply available in the market today. These systems allow simultaneous sharing of power between two furnaces in any ratio within the rated power. Infinite power sharing feature has the potential to increase the KVA utilization index by up to 25-30%. Field reports indicate an increased metal output of 25-30% with ET Double – Track Plus compared to single output power supplies. The unique feature of ET Double-Track Plus is the capability of the system for sharing the power with standby (3rd) furnace, thus ensuring uninterrupted continuation of metal production even when one of the furnaces is under relining/sintering/maintenance. This feature makes ET Double-Track Plus a double output power supply in a real, complete and comprehensive sense of the word making it far superior than any of the competitive product. An ET Double-Track Plus is always a double track, nothing less. The seamless electronic integration completely eliminates need for any kind of mechanical switching for the selection of furnaces. If need arises at any given point of time for a larger quantum of metal to be made available, power can be given to all the three crucibles simultaneously in the required ratio, within the limits of overall rated power, and the metal from all the three furnaces can be tapped at a time to ensure larger single batch of liquid metal. 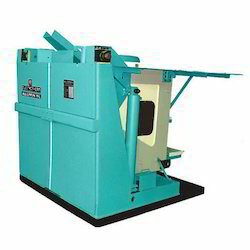 Being the reputed organisation in the industry we are offering a Special Furnaces. 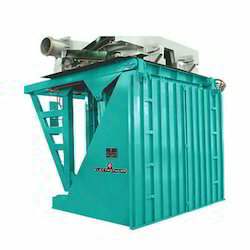 Key benefits include increased production, increased casting yield, reduced pouring related rejections, drastic reduction metal spillage and lower labour cost. Strong construction, rigidly built for long life. Accuracy and repeatability of ET-AUTOPOUR system’s pores are self-adaptive to take care of change in metal levels and temperature. ET-AUTOPOURS use the latest generation PLC system with touch screen display for accurate control of the pouring. The ET Pushout Furnace is a highly efficient crucible melting System. After completing melting in a crucible, the crucible is Pushed out hydraulically / mechanically and taken out for Pouring. this avoids heat loss and oxidation during liquid Metal transfer from the crucible to ladle. The coils are lined from Inside with refractory cement to guard against spillage. With the aid of sound infrastructure, we have been able to present our customers with the premium quality of Induction Furnaces. 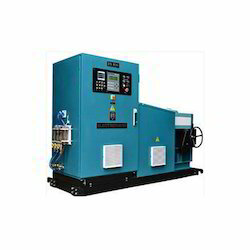 The aluminium-sl furnace is used for foundries. Available in capacities from one kilogram to thousand kilograms, the Alumni-SL furnace is equipped with rigid furnace construction with aluminium side plates. We are the best leading provider of Power Supply Units. The E series medium frequency power supplies have power ratings from 25 KW to 450 KW and frequency range of 200 Hz to 10000 Hz. These power supplies are ideally suited for relatively smaller ferrous and non-ferrous foundries with ET ALUMIN SL furnaces of capacities up to 1000 Kg. The current fed inverter design results in higher inverter efficiency. Less number of power components and component types makes the system very simple. The fast electronic tripping devices protect the system in the event of short circuits. Field reports indicate an improvement to the extent up to 7-8% in melt rates and energy consumption for E-Series power supply working in conjunction with ET ALUMIN SL furnaces. Easy to read system monitor board provides information on systems electric parameters and trouble shooting and maintenance. A fast acting and highly sensitive earth leak detector is provided for the optimum safety of operator and equipment. Years of experience of this domain has helped us in presenting our customers with the premium quality of Steel Frame Furnace. To capture smoke and fumes, the offered steel frame furnace is provided with fume extraction ring or fume extraction hood. For the purpose of reducing heat loss through radiation, the steel frame furnace is provided with insulated furnace lid. 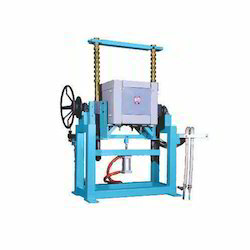 ET Steel frame melting furnaces are available in capacities ranging from 500 Kg to 50 Tons. Fume extraction ring/ fume extraction hood provided to capture Smoke and fumes. 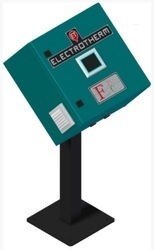 Electrotherm’ s ET Rollover Furnace is ideal For close control of pouring to produce High-quality investment castings. In Rollover furnaces, metal flows directly From the furnace into the mould with Minimum air and refractory contact, Limiting both oxidation and refractory Inclusions. Also the centrifugally assisted. Metal flow obtained during the rollover. 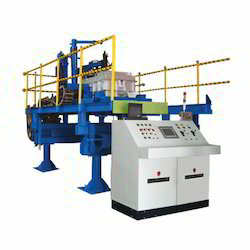 Ensures that moulds are filled quickly and Completely. Our best in quality Melt Evaluator are exclusively designed and are provided to our valuable customers at the reasonable price. Continuous monitoring and optimization of furnace energy consumption. Improvement in melt shop productivity. Foundry Power Utilizer is a highly accurate device to control furnace power using intelligent digital controller. 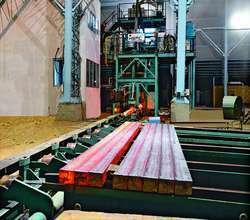 FPU ensures optimum utilization and prevention of overshooting of the foundry’s sanctioned KVA. Foundries have been able to increase the metal output by installing FPU because of optimum KVA utilization. Just a few hours are required to install an FPU, both in existing and new foundries.